If you don’t know about #dblog week, check it out here. There are many many bloggers signed up and there will be a boatload of amazing posts to read over the course of the week. Lets kick off the week by talking about why we are here, in the diabetes blog space. What is the most important diabetes awareness message to you? Why is that message important for you, and what are you trying to accomplish by sharing it on your blog? I am here for many reasons but the main one can be summed up in one word: connection. My desire to connect with others living with diabetes goes all the way back to my diagnosis. My dad’s brother has been living with type 1 diabetes since 1960. In march 1997, as I lay in the intensive care unit the day after my diagnosis, slowly coming out of DKA, he came to visit. In just one look from him, I understood both how sorry he was that I also had to live with with this for the rest of my life but also how relieved he felt that now someone else actually understood how he feels. It literally took that one look from my uncle to know that I didn’t have to do this alone and that it would indeed be harder without others who truly understood. I started looking to connect with others relatively quickly. It did help that the internet already existed although there was very little in the way of valuable information about actually living well with diabetes at the time. The first message boards and forums were starting to appear too so at least there were ways of finding others to converse with. Over the last 19 years, true to this desire to connect with others, I’ve been both member and founder of local support groups, and have frequented a lot of on-line diabetes spaces for both diabetes and celiac disease. And as in life, each chronic illness took turns in which got more on-line time. But once the main learning curve of celiac was covered, I’ve definitely been more actively involved in diabetes related support on-line and off. The online forum that became my diabetes “home” on the internet for many years was the Diabetic Mommy forum. Many of the women I met there have become real friends, whether or not I have met them in real life. A particularly bad bout of diabetes burnout hit me when my second daughter was about 12-18 months old. It was after several years of trying to maintain pregnancy blood glucose levels and by that point I was busy with raising my family and going back to work and I had less time to take care of my diabetes, let alone talk to others about it. When my A1c came back about 2% over what I wanted it to be, I realised that I needed to take action and for me, that was re-connecting actively with my D-family (OK, and also actually checking my BG levels, but honestly, chatting with others helped me check my blood sugar!). So I started actively participating in tweetchats, not just passively reading them the next day. And although I had been an avid blog-reader for years, I started to reply to some blog posts and connect with the blogging community. The whole rise in blogging had passed me by since I had exactly what I needed in support at the time – around diabetes and pregnancy. I love the learning and the “me too” feeling that came with reading of tweets and blog posts, but I knew from experience that contributing to those conversations was just as important to me on both and emotional and a diabetes management perspective. The more I connect with other people with diabetes, whether through direct twitter conversations, through reading blogs, through participating in Facebook groups… the better I feel and the better my diabetes behaves. Not to say there aren’t ups and downs (obviously), but I guess what I’m saying is that the connections I have made by being active in this community have helped make living with diabetes a little easier to deal with. So I’m here to find support and hopefully to give some as well through sharing my story and connecting with others. This entry was posted in Diabetes, Uncategorized and tagged #dblogweek, community, connection, DOC, social media, support on May 16, 2016 by Andrea. And for my second post of the day… to at least attempt to catch up on #dblogweek! The topic today is “Favourites and Motivations”. After only a year of blogging I had a hard time picking a favourite bit of my blog, so I’ll share with you some of my motivation for being here. I have understood from the day of my diagnosis how important it would be to connect with other people with diabetes. It all started as I lay in the ICU with bruises up and down both arms from all the IVs and artery lines that the doctors had placed with difficulty, the night before. But I was already feeling better 18 hours after diagnosis and the symptoms of my DKA were clearing up quickly. Only close family were allowed into intensive care but I was very glad to see my uncle, who had by then been living with type 1 for 37 years. I saw his concern for me and his sadness that someone else in the family would have to live with diabetes from now on. But I also saw his relief at no longer being alone in this and felt a connection with him that we had never had before. I hadn’t been able to adequately describe to anyone until then exactly how horrible I had felt in DKA. How unbelievably dry my mouth was, for example. No, not like when you’re really thirsty, more like when there is no saliva left. At all. But I didn’t need to explain it to him. He knew. He had been there. So it was never really a question in my mind. If I wanted to live well with this (and I did! ), I knew that I had to find peers to share stories, to compare notes, to support and to be supported by. I joined an online forum while I was away at university and when I got back to Toronto after a few years, I found a group of women through the local chapter of the Canadian Diabetes association who became my core support group for a number of years. I continued to participate in a few online forums, especially the Delphi “Diabetic Mommy” group. That group has been a lifeline through preparing for pregnancy and dealing with diabetes through pregnancy and motherhood. I have met only a few women from that group in “real” life, but I consider a number of them to be good friends. I also was very active for a number of years on a Celiac disease forum. The learning curve is so insane when you first go gluten free, that I don’t know how anyone does it without some support online or off. A few years later, as the first D-blogs started appearing, I became an avid reader. But I think what held me back at first from starting my own blog was that I don’t love to write. I knew could respond to forum posts with supportive and well-informed answers, but I think I was a little intimidated on some level to create my own content rather than responding to others. So for years I put it off. But I have come to realise that as a diabetes advocate, it is important to have a personal space on the web to be able to share ideas in a more open space than what you can find in a forum or Facebook group. I still find it a little scary to put myself out there but knowing the support I have found and have been able to share over the years of connecting with other PWD, that is motivation enough to share my thoughts with all of you. Sharing my story certainly helps me deal with my own diabetes and celiac disease and if just one person finds comfort in what they read here, my effort is worth it. And that motivates me to continue. 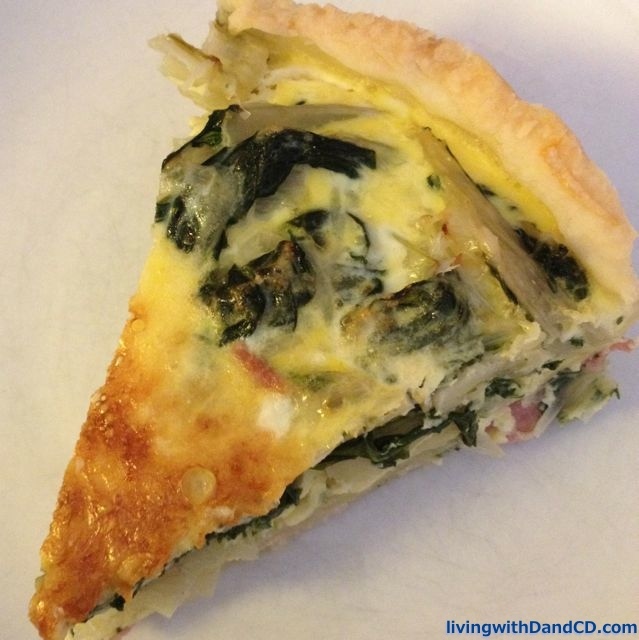 This entry was posted in D & CD and tagged #dblogweek, advocacy, celiac, connection, diabetes, motivation, support on May 16, 2015 by Andrea. Ok, now I’m officially really behind on #dblogweek. I have skipped the Changes prompt altogether, though I would like to come back to it. I am now just a day late on the “Foods on Friday” topic. I actually had the intention of sharing my entire gastronomic day and taking pictures of everything I ate yesterday. However, if I ever have the occasion to show you my food logs on the mySugr app, you’ll see I’m not very good at remembering to take a pic before I dig in. So I’ll share with you the culinary adventure I had today. We have a new organic and local farmers’ market just up our street each week. It’s quite small so farmers only bring what you have ordered in advance. This was our first week ordering and we opted for a “family vegetable basket”, not knowing exactly what would be in it but willing to give it a try. The box we brought home had a few kilos of potatoes, a big bunch of white carrots, some rhubarb, 2 gorgeous heads of lettuce and a huge amount of blette. “Blette?”, you ask. 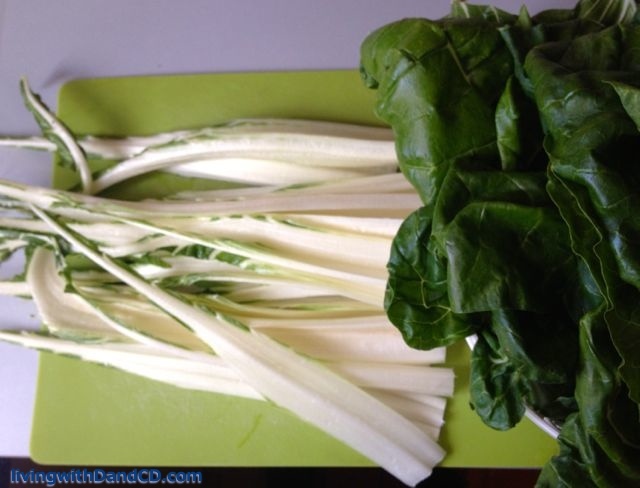 Well I had to look it up to know that it was silverbeet or chard in English. 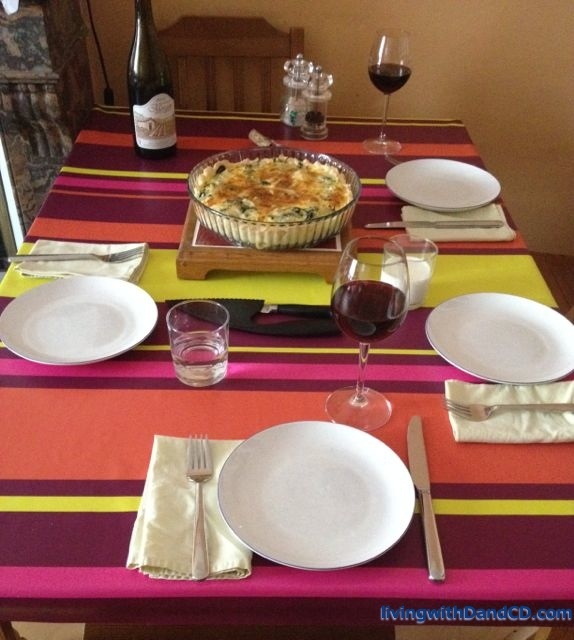 I’ve eaten it here in France at friend’s houses, but I had never cooked it myself. 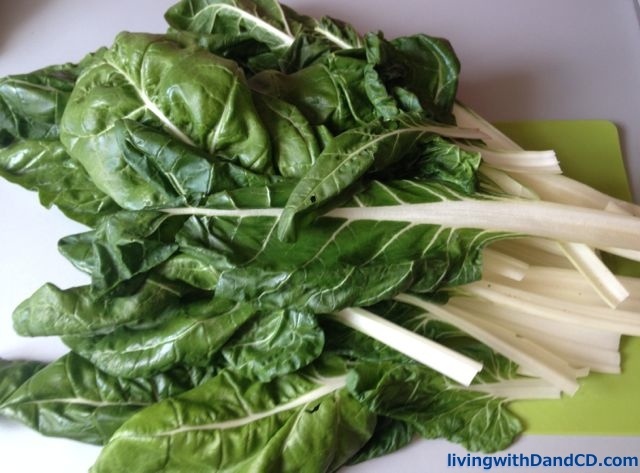 Cut the stems off the silverbeet. Wash both stems and leaves. Slice the stems and steam them for about 5 minutes (I did this with about an inch of water in the bottom of the pot). Add the leaves and steam about 2 min more. Drain the the silverbeets. 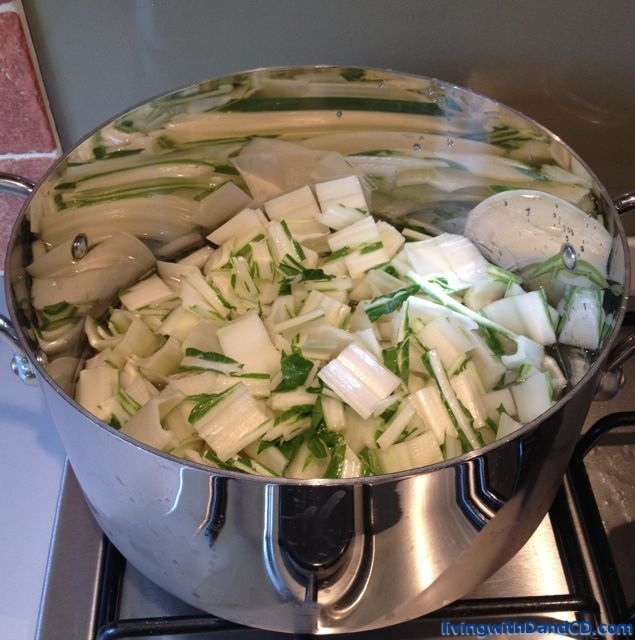 Chop the onion and sauté in a large frying pan in some olive oil. Add the drained blettes and sauté as desired. Roll out the pastry. I am fortunate to be able to buy gluten free frozen puff pastry dough, and grabbed one out of the freezer this morning to let it thaw gently in the fridge all day. Another way I sometimes make a gluten free quiche “crust” is just to use leftover brown basmati rice to cover the bottom of the quiche pan. That said, a lower carb version of this could be made with no crust at all. (Just be sure to butter the bottom of the pan!). Scatter the ham and grated cheese on the bottom of the pastry. In a bowl, mix the eggs, cream and milk. 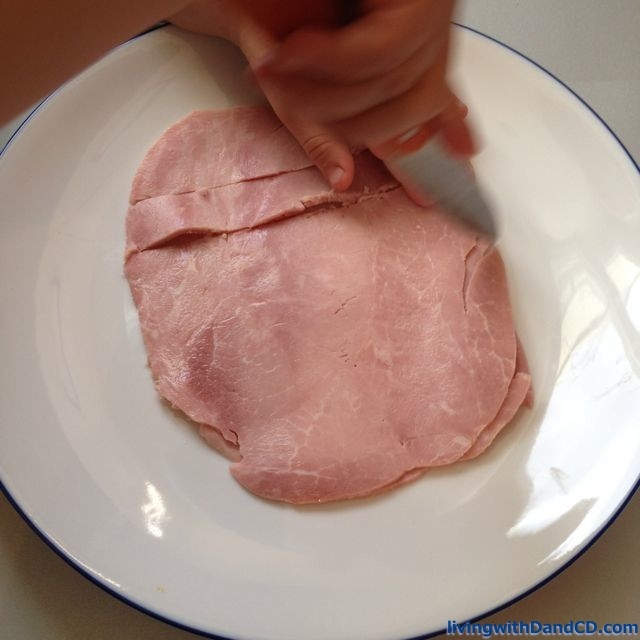 Pour egg mixture over ham and cheese. Top with grated parmesan and bake for about 25 min at 210°C (400F). Get your favourite 6 year old to set the table (with a little help from her dad to pour the wine). Enjoy with the whole family. 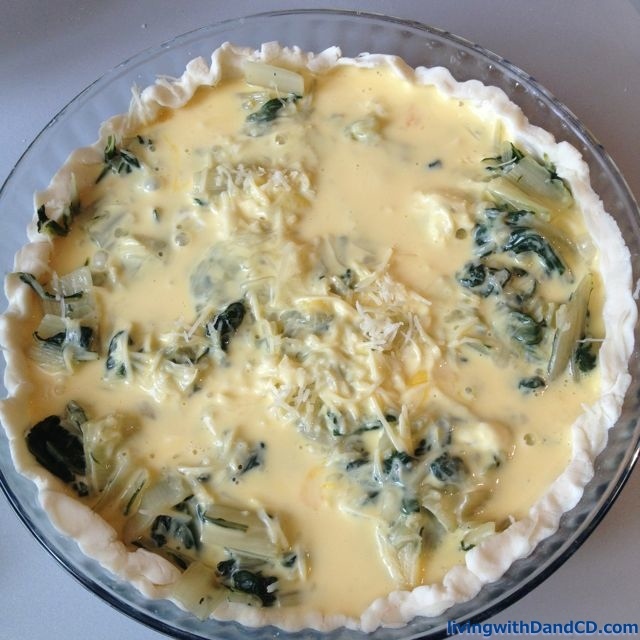 This entry was posted in D & CD and tagged #dblogweek, food, glutenfree on May 16, 2015 by Andrea. The second topic of this #dblogweek is “keep it to yourself”. Sometimes it’s hard to draw the line between what to share and what is best kept private. In general, off line and online, I share pretty openly about my diabetes – usually things that will help me and my own diabetes management or that I think could help others in the community. I don’t have hard & fast rules about what I won’t share publicly online but there is definitely an automatic filter on sharing some of my “deepest darkest” feelings or secrets – so much so that I’m not even sure I could articulate it here. I have an introverted nature and for years I followed diabetes related blogs and twitter handles but preferred to share my own diabetes story in the relative private space of forums. But 3 years ago when my diabetes burnout had reached an ugly peak, reaching out to the more public diabetes online community and getting involved more actively played a huge part for me in finding balance. But since I started sharing my diabetes story more publicly online, I have certainly learned about consequences of sharing. This hasn’t necessarily led me to “keep it all to myself” but I have had to work on how I deal with comments and judgements that can and do crop up and throw me a little off balance. An example : Last September, I was fortunate enough to be able to try out the Freestyle Libre flash glucose monitoring system. I was excited to try it and excited to share my experiences in anticipation of this new technology hitting the European market. My first 24 hours on the Libre was a bit rough. Not because of the device, just because, well – diabetes. 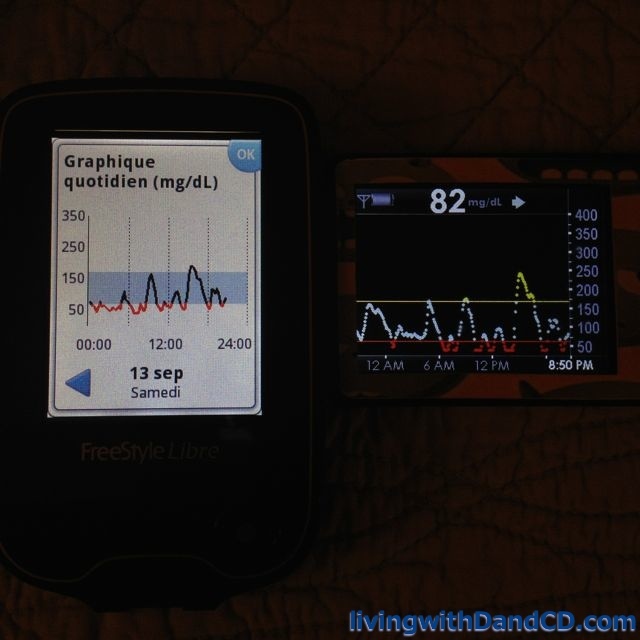 I hesitated to share this photo because of the actual graph but I was excited to show how well the Libre and Dexcom lines compared so I posted it on twitter. The following day, someone posted my picture to a diabetes Facebook group as it was among the first on the internet comparing the two devices. At first I was amused to find my picture in a place I hadn’t put it. Then came the comment “Interesting diabetes management…”. I would have expected my doctor to be a little alarmed at that particular graph but I’ll admit that I wasn’t prepared to deal with the judgement from others who deal with diabetes every day. As I said, that day was a hard one. I took less insulin than usual, set temp basal rates, did the same amount of activity as usual, ate more carbs than usual, including about 4 full-sized juice boxes and yet my blood sugar just kept dropping. I don’t regret sharing the photo because it was exciting to be a part of the Libre trial and for me a big part of that was comparing it to the CGM technology that I already used. But this experience and a few other times where I have seen not-so-positive replies to things myself or others have shared in the online diabetes space have certainly taught me to be prepared for all possible reactions on what I decide not to keep to myself. It is therapeutic to share and make connections with others who “really get it” and it’s important for each of us to think about and find our personal threshold in terms of what we keep to ourselves and what we want to share. One of the amazing things about the diabetes online community is that there are enough of us (with different levels of openness) that we can almost always find someone else who we can connect with. It is important however that we each remember to respect each other for sharing our stories rather than placing judgement on what is shared. 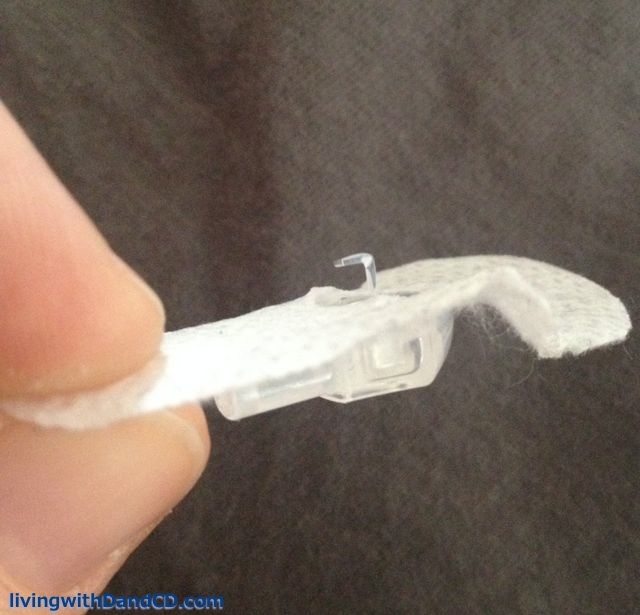 This entry was posted in Diabetes and tagged #dblogweek, support on May 12, 2015 by Andrea. I wasn’t sure about participating in this year’s #dblogweek. I started my blog almost a year ago (after many years of considering it) and started after #dblogweek because I thought it would be too much pressure to start my blog with 7 posts in a week. A year later, I still think it’s a lot of pressure, but we’ll see how it goes! Sixth annual diabetes blog week. The first topic is “I can…”. I’ve written recently about some of the things that I can do and have done while living with diabetes for the last 18 years. So today, my post is going to be simple. I’m appreciating the fact that I live in a country where I have access to diabetes technologies and that most of my diabetes supplies are covered 100% by the French social security system (including the batteries for my pump and meter, but excluding all continuous glucose monitoring or flash glucose monitoring equipment). This is not the case in so much of the world so I don’t take for granted that I can choose which meter I use to monitor my glucose levels and how I administer my insulin (pump vs. MDI). I am currently taking advantage of this choice in that I have been having issues with reactions to my infusion site tape, so I’ve been trying out new sets. I feel lucky that “I can” do this with just a phone call to my pump supply company. …with the obvious consequences! But since my skin issues persist, I am still on the hunt for solutions. This week I’m trying out some Orbit sets for the first time. I don’t have full conclusions yet as to whether these 90° sets might work for me, but so far so good. I like the fact that the tape is totally different than most sets and so far, after 36 hours I haven’t had any redness or itchiness. And so far, no elbowed cannulas or crazy high blood glucose levels. I also love the fact that the set can swivel 360° on itself so I can move the tubing if it gets in the way of my clothing, or sleeping. Diabetes isn’t always easy to live with and presents different types of problems at different times but I’m glad I have a choice in how to deal with each issue and I’m confident that I can find a solution to these pump site rashes. Perhaps with Orbit. But if not, I’ll try another set or some kind of barrier. 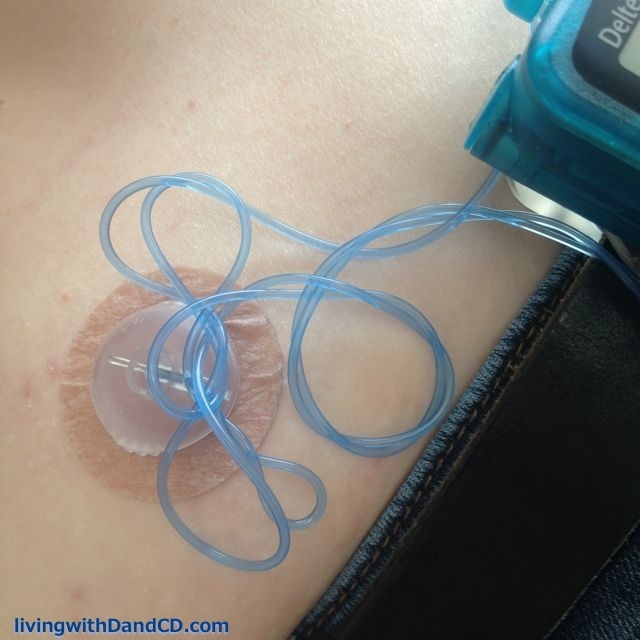 This entry was posted in Diabetes and tagged #dblogweek, insulin pump, skin problems on May 11, 2015 by Andrea.